Imagine a new-car showroom jammed with shiny vehicles and eager shoppers. That’s pretty much what you get this weekend at the DFW Auto Show in the Kay Bailey Hutchison Convention Center in Dallas, TX, but on a grand scale. The DFW event holds a special spot on the calendar between Chicago and New York auto shows. While not as big as those events, it serves the purpose for those who attend, and if you are a practical, deliberate car shopper, attending an auto show like this just makes sense. 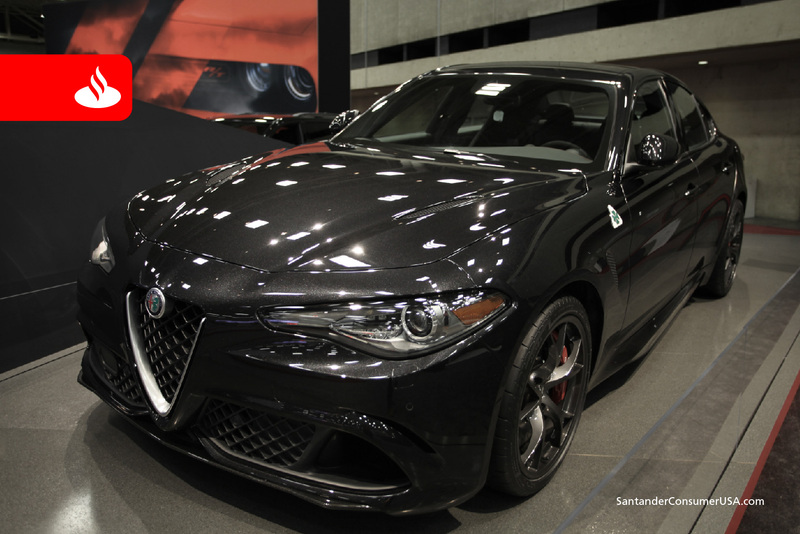 The Alfa Romeo Giulia at last year’s DFW Auto Show. “Where else can you find more than 650 trucks, SUVs, sedans, sports cars and energy-efficient vehicles representing nearly all major manufacturers, all in one easily walkable venue?” asked Don Herring Jr., auto show chairman in a press release heralding the event. The DFW show runs March 22-26, concurrrent with the Atlanta International Auto Show held at the Georgia World Congress Center and the same weekend as the Greater New Orleans International Auto Show and Austin Auto Show, which are among the last on the calendar. Auto shows are scheduled in Denver, Houston, Birmingham and Tulsa two weeks later, and the New York International Auto Show is just a week after at the Javits Center in New York City. You don’t have to be a new-car shopper to attend, but a car show is liable to make you one. “Auto shows have been around for almost 120 years, and they continue to be one of the most effective ways to reach consumers who are in the market for new vehicles,” Herring said. 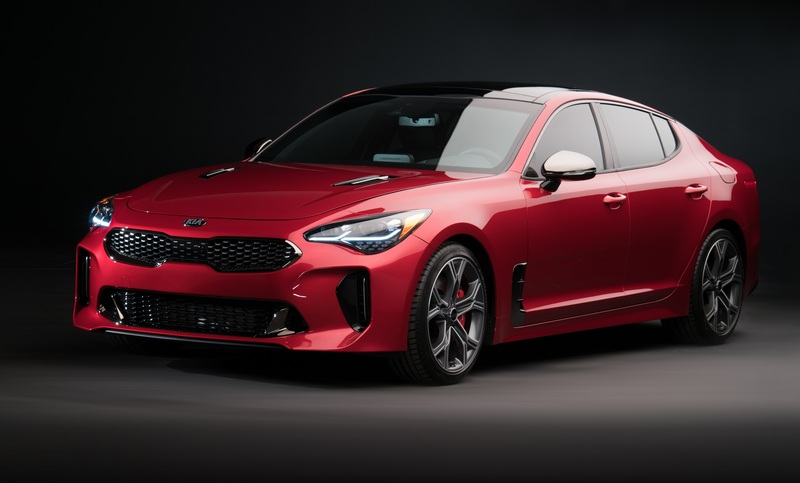 Look for the all-new Kia Stinger at the DFW Auto Show. Chevrolet Equinox; Ford EcoSport, Expedition, F-150 and Mustang; GMC Terrain; Honda Odyssey; Kia Stinger; Lexus LC 500; Mercedes-Benz GLA 250; MINI Countryman Plug-in Hybrid, and Toyota C-HR, Camry XSE, 4Runner Expedition Overland and NASCAR Camry. 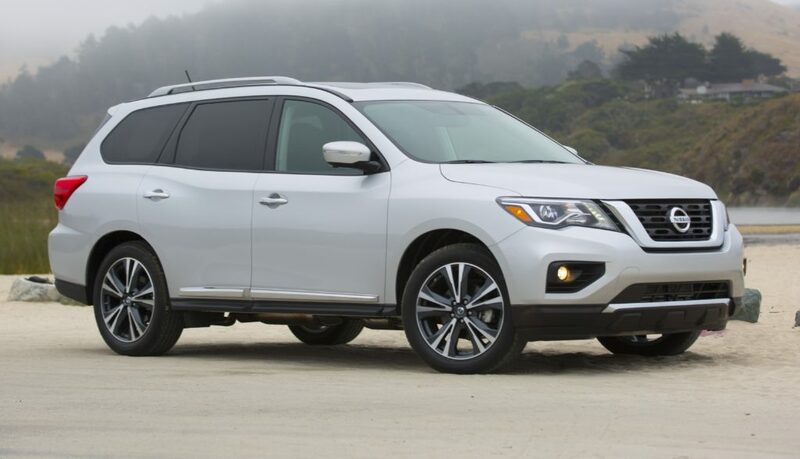 Nissan’s Pathfinder is on the roster among 2017 models. Alfa Romeo Giulia; Cadillac XT5; Chevrolet Bolt EV; Chrysler Pacifica Hybrid; Ford Raptor; Genesis G80 and G90; Honda Civic Hatchback, CR-V and Ridgeline; Hyundai Ioniq HEV; Infiniti QX30 and Q60 Coupe; Jaguar F-Pace and XE; Jeep Compass Limited; Kia Niro; Mazda CX-5 and MX-5 RF; MINI Countryman; Mitsubishi Mirage; Nissan Pathfinder, Rogue and Light Duty Titan; Porsche Panamera 4S; and Subaru Impreza. The Aston Martin DB11 will be featured in Dallas. Vehicles from Aston Martin, Bentley, Maserati, McLaren and Rolls-Royce, with the spotlight on the all-new 2017 Aston Martin DB11, Bentley Bentayga and Maserati Levante. And if doing is more your thing, there is the Ride & Drive event comprising 15 manufacturers and more than 75 vehicles to test drive through the streets of downtown Dallas. The event includes a range of pickup trucks, SUVs, crossovers, sedans, convertibles and energy-efficient hybrids from Acura, Buick, Chevrolet, Fiat Chrysler Automobiles (including Chrysler, Dodge, FIAT, Jeep and Ram), Ford, GMC, Kia, Mazda, Nissan, Subaru and Toyota. The show is produced by the Dallas Fort Worth Metropolitan New Car Dealers Association, a trade association comprising about 200 franchised new-car dealerships in 11 North Texas counties that represent more than $10 billion in new and used car sales annually. There’s plenty more about the DFW show and others at the links above.